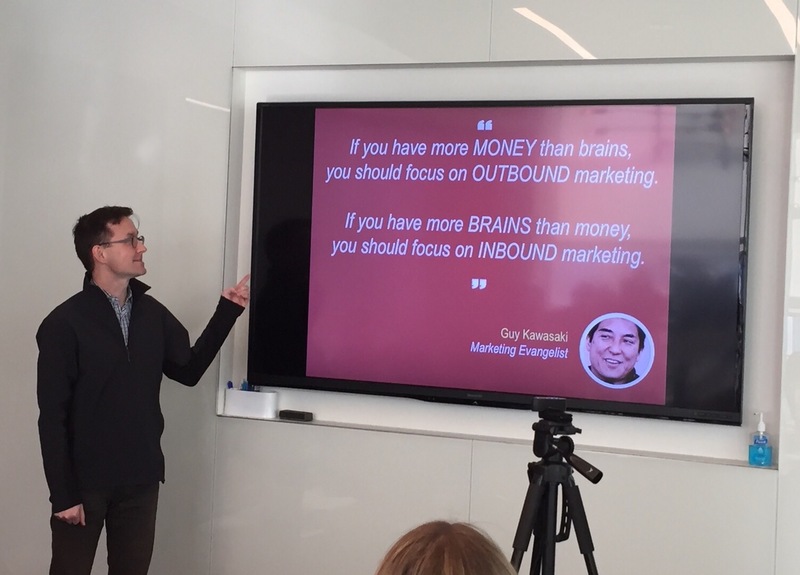 Last Thursday we held JuntoDay, a day-long learning event for growth-stage companies, featuring four sessions on marketing attended by JuntoAlumni and other Chicago startups. The presenters shared dozens of insights, experiences, strategies, and best practices. Here's a collection of one core lesson from each session. The session on Content Marketing - Why It's So Powerful was led by Andy Crestodina, co-founder and Strategic Director of Orbit Media Studios, a Chicago-based web development agency. Andy's core lesson was that "all marketing is a test of empathy." Much of it doesn't work because marketers aren't thinking or writing or publishing from the viewpoint of the customer. And when marketing does work, it's because the marketer truly understands what the customer wants or cares about. He made these points with very simple and practical examples. For instance, he shared that one of his personal practices of content creation is based on the email in his "sent" folder. That's because many of those messages contain responses to what customers inquire about. Another example was that, when it comes to content marketing, search generates more qualified leads than email or social. That's because the customer is initiating the process of looking for a specific product, service, or solution rather than the marketer pushing out content that they hope will be viewed and consumed. 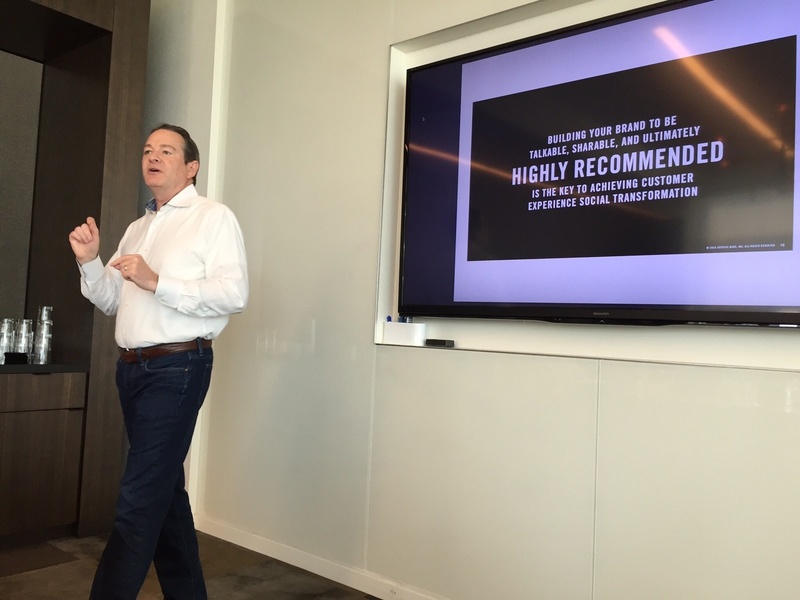 Paul Rand, founder/CEO of Chicago-based marketing agency Zocalo Group, was the presenter for Word-of-Mouth Marketing - Using the Power of Recommendations to Increase Sales and Build Your Brand. What experiences do you want to provide or enable? What kind of workplace do you want to be? What's your service promise to customers? How would a customer recommend your brand? 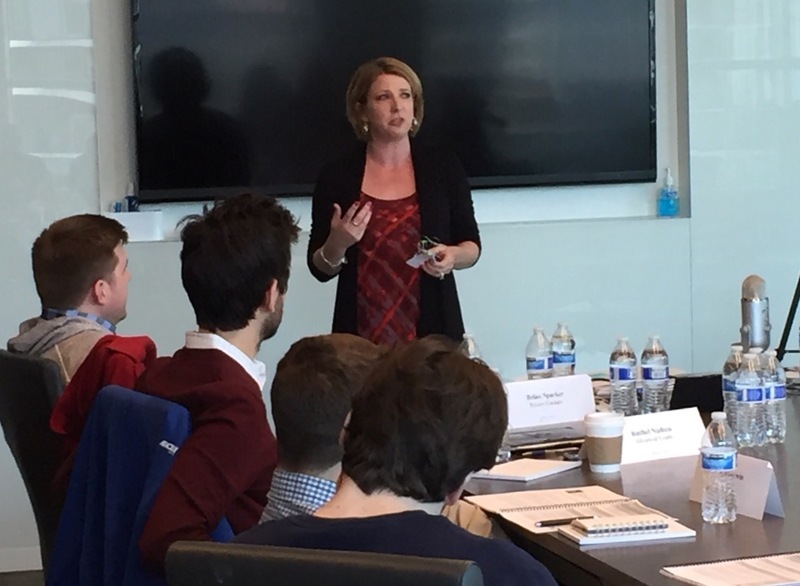 Rachel Nielsen, founder and President of Advanced Events, led the session on Experiential Marketing - How to Build Emotional Connections with Your Customers. Rachel defines experiential marketing as controlling the outcome of customer interactions by delivering a specific message that influences an audience. Her discussion was focused on the idea that, in order to build emotional connections, a company must control the experience that customers have with its brand. This means that a growth-stage company must stay true to its message in every encounter customers have, whether it's in prospect pitches, through customer service calls, attending special events and celebrations, or at a trade show booth. Rachel used a very simple and everyday example to make her point. She designed an fun experiential exercise in which half the room was given instructions to deliver a specific handshake (bone-crusher, fish-hand, secret handshake, etc.) to one of the other attendees. After doing the exercise, the handshake givers and recipients shared how well the message was or was not delivered; in other words, how well the experience was controlled. 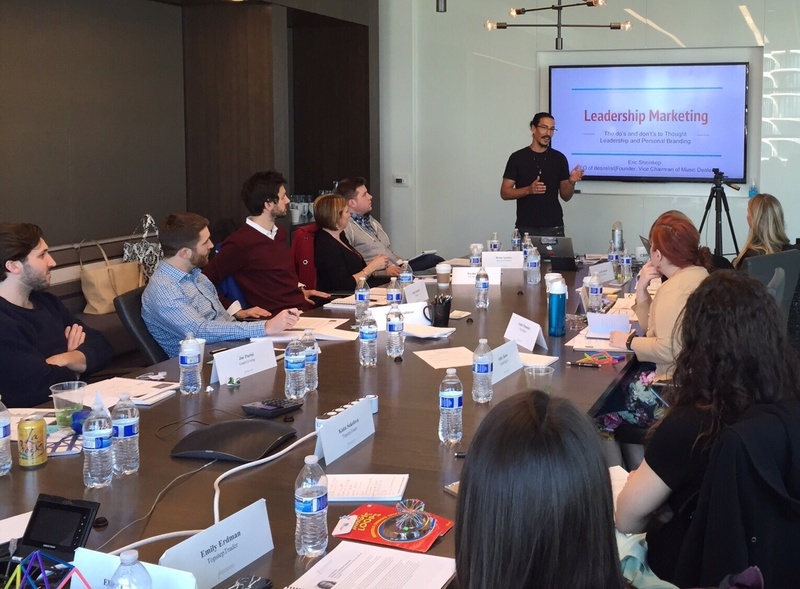 Eric Sheinkop, founder/CEO of desirelist and co-founder/Vice Chairman of Music Dealers, presented the topic of Leadership Marketing - The Do's and Don't's to Thought Leadership and Personal Branding. His core message was that leaders need to leverage their personal brand to promote their company rather than the opposite. In classic Junto style - using shared experiences and vulnerability - Eric presented examples of how press coverage, speaking engagements, and exclusive invitations created conflict within his company because of his lack of awareness and communication. He reflected on how differently he should have communicated and handled each of those opportunities, warning the leaders in the room that "as your company evolves, your personal brand will as well...[and it] will receive more attention and, therefore, more scrutiny." Eric also led an exercise in which the attendees learned how the overlap between personal passions, the company's mission, and the leader's daily responsibilities can provide a starting point for personal branding that benefits the company.